Let Open Road Open Skies organise your group's bespoke road cycling tour. We organise fully supported cycling holidays to suit the needs of your individual group, we cater for groups of all sizes across the UK, Ireland and Spain. Whether your looking to organise a charity ride, a club tour or an adventure with a group of friends we can provide a full bespoke service with a very competitive price. Your group's tour costs are based on a number of factors, including the number of cyclists on the tour, as well as the number of days plus any extras required on the tour - the larger the group the more we can keep our costs down. All our supported tours come with vehicle support (including teas, coffees, water, snacks and spare parts), accommodation, luggage transfers, transfer back to the start point, paper and digital maps, and full itinerary. Extra services include home pick-up and drop off, bike hire (road, hybrid, e-bike), extra night or night's off before, during or after the tour. You can choose from any of our tours, as well as any tour your group would like us to arrange in the UK, Ireland or Spain. 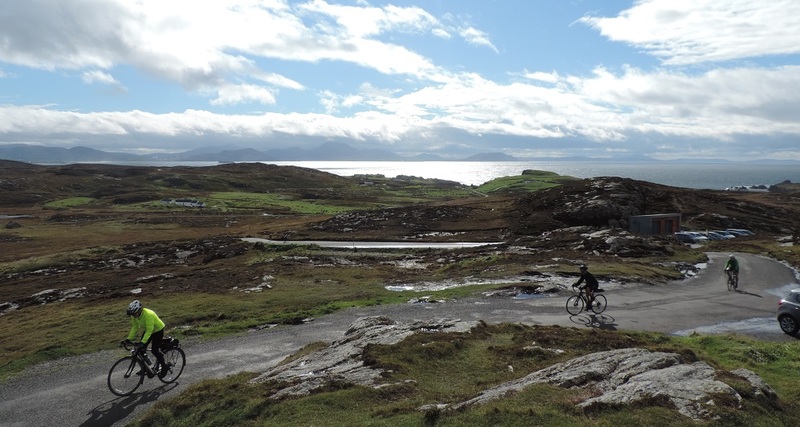 We don't have a maximum or minimum number of cyclists for group tours - the greater the number of cyclists on tour, the cheaper the per person price we can offer for the tour. Bed and breakfast is provided at cycle friendly accommodation: We try to use 3 and 4 star accommodation where possible, and put a lot of research time into finding new and suitable accommodation on new routes. Any ferry crossing needed en-route will be provided for and included in costs. Bike hire is available at £50 per person per tour for a Hybrid bike or £35 per bike per day for e-bikes or road bikes.